A 58 year old lady presented with a bony hard swelling of the palate which has been there since last 2 years. She complains of occasional mild pain, especially upon touching it. 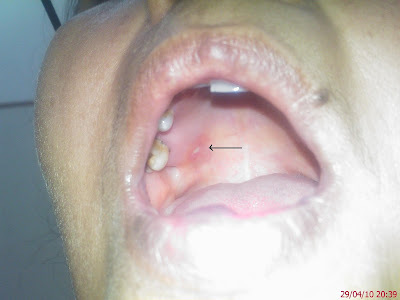 Otherwise there is no history of pus discharge from the area, no adjacent carious teeth, no history of nasal pathology and no history of diabetes. What's your differential?